This book illustrates systematically how the issues of time and dynamics in modern economy featured by decentralized industrial production are interpreted and theorized, including the characteristics of the major economic schools and their contributions in terms of economic dynamics since merchantilism prevailed. 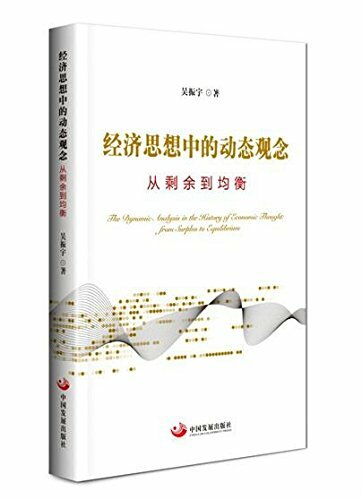 The thesis statement of the book is that the marginal revolution has transferred the focus of economic analysis from producers to consumers and from surplus to balance and made part of the dynamic concepts expire. The analysis framework has been shifted from partial balance to general balance, making the above-mentioned change become more prominent. The study of economic issues in reality calls for focus on the deficiencies of balancing tools and targeted selection of suitable theoretical framework. This book includes 12 chapters. Chapter 1. The Time and Dynamics of the Real and Theoretical Economy. Chapter 2. The Dynamic Concept of Empiricism in the Early Stage of Economic Concepts. Chapter 3. Classicism: The Dynamic Concepts Led by Surplus and Accumulation. Chapter 4. New Classicism: The New Approach to Balance Analysis. Chapter 5. The Austrian School: Pure Dynamists. Chapter 6. The Swedish School: A Balance Analysis of the Dynamics of the Macro Economy. Chapter 7. Keynes: The Revolution of Time and Dynamics. Chapter 8. A Combination of New Classicism: The Dynamic Theory and The Micro Basis. Chapter 9. Monetarism: The Media of the Theoretical Evolution. Chapter 10. The Macro Economy Under the Rational Expectations and Consumptions: The Dynamic Concept that Expired. Chapter 11. Post-Keynesianism and the Dynamic Concepts of Other Academic Schools. Chapter 12. The Historical Evolution of Dynamic Concepts.